OXFORD, Miss. – The University of Mississippi School of Applied Sciences has named Steven Soifer as chair for the Department of Social Work. Under Soifer’s leadership, the Master of Social Work program at Memphis improved from being unranked to appearing in the top half of U.S. News and World Report’s annual publication of best M.S.W. programs. After completing a bachelor’s degree in psychology from Denison University and an M.S.W. 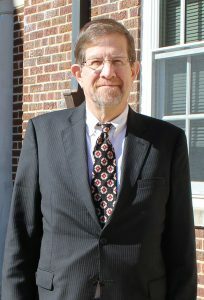 from Washington University, Soifer earned his doctorate in social welfare from Brandeis University. With 38 years of teaching experience, he held full-time academic appointments at the University of Memphis, University of Maryland at Baltimore, University of Washington, Trinity College and Community College of Vermont. Soifer is a contributing author of 10 books and lead author of an additional five books, including “Community Economic Development and Social Work” (Columbia University Press, 2014). He also has contributed seven book chapters as lead author in topics ranging from mental health promotions in schools and racism and social welfare to community organization, housing and paruresis. With an additional 19 referred articles in his publishing history, Soifer has been cited more than 500 times. Since 1997, he has conducted more than 150 presentations, seminars and workshops in 45 cities, 25 states and eight different countries. An expert in social work and social welfare, Soifer has been interviewed on hundreds of radio stations and in dozens of newspapers, magazines and television stations around the world, including the Wall Street Journal, The New York Times, The Washington Post, Los Angeles Times, Newsweek and USA Today. “Dr. Soifer offers a wealth of experience and expertise to the chair position in social work,” said Peter Grandjean, dean of the School of Applied Sciences. For more information about the Department of Social Work, visit http://sw.olemiss.edu/ or call 662-915-7336.